So, I found myself with a copy of iPhone OS 3.0 a little ahead of the general release and felt the urge to get tethering working properly. (People who jailbreak have previously had the option of a few third-party products, the best known and easiest to use being PdaNet, also known as that software that wrought havoc upon the LCA 2009 wireless .) It turns out to be pretty seamless on OS X (and apparently also on Windows), but of course, that doesn’t do an awful lot for me as an Ubuntu user. The iPhone provides two options for tethering: USB and Bluetooth. The USB option looks promising, but is a bit beyond my knowledge of the USB subsystem: lsusb provides information on a configuration called PTP + Apple Mobile Device + Apple USB Ethernet with a couple of interfaces labelled Vendor Specific Class; someone with crazy USB hacking skills will probably get that turned into a network device in due course, I suspect. That leaves Bluetooth. The iPhone uses Bluetooth Personal Area Networking The good news for lazy people like me is that NetworkManager support is in the works, but until then, it’s still not too painful, as people have been tethering to mobile devices using PAN for a while. Get the Bluetooth address of your phone by running hcitool scan and jotting down the address next to your phone’s name. Pair your computer with your iPhone. If you’re using GNOME, the standard Bluetooth applet can handle that; presumably that’s true of the other flavours of Ubuntu as well. This seems to work rather well. The speed test results were noticeably better than they had been previously using the various ad-hoc network + jailbreak based solutions that I tried with iPhone 2.x; here at the office in sunny Osborne Park, I got about 850 kilobits down and 350 kilobits up (and a ping around 250 ms) on the notoriously crummy Optus 3G network, which is enough to actually be genuinely useful. Thanks to InfoSec812 and wilbur.harvey (no relation!) for writing rather good tutorial posts on the Ubuntu Forums, which this howto is based on. This entry was posted on Wednesday, June 17th, 2009 at 12:51	and is filed under Tech Geekery. You can follow any responses to this entry through the RSS 2.0 feed. Both comments and pings are currently closed. Or you could go for the much simpler Blueman Project. Install it from the Ubuntu PPA it replaces the standard bluetooth icon in the task manager, pull it up and connect the serial port from the bluetooth phone and then its available in Network Manager as currently available in Jaunty. How can I start the bluetooth applet? @ Adam Ashley: I also attempted using the Blueman Project, which looks very promising, but that failed stating “Device added successfully, but failed to connect”. OK I fix it. I had to compile the omnibook kernel module for my laptop to work with bluetooth. Then the bluetooth applet was visible. @Adam: Thanks for the pointer re Blueman; I’ll have to give it a crack over the weekend. @Joshua: You need to make sure you’re paired first before running pand, including having the iPhone say “Connected” in the Bluetooth screen. If you’re still having trouble, I’ll see about working up some screenshots for what I end up seeing both on the iPhone and within Ubuntu. @Adam Harvey: I’m pretty sure I’m paired, I see my phone “Kenobi” in the devices on my laptop, and I see “solo-0″ (the name for my laptop) on my iPhone. @Joshua: The only thing I can suggest is to make sure that solo-0 is actually listed as “Connected” as well as just being visible on the iPhone. This screenshot shows how it appears on my iPhone — in that case, I can use macbuntu (my names aren’t much better!) with the tethering, but not eeek. I was able to tethering just 1 time using these instructions. After this I install blueman and I can’t tethering using blueman nor can I using these instructions. I get the same refuse connection(111) error. I really hope someone can fix the “usb mode” tethering for linux. I was able to tethering using Windows XP under Virtualbox + Ubuntu. John Ferlito@ do you use these instructions or blueman? And I was able to tethering again without changing any configuration files. I believe the people that have the connection refused problem is because of iphone-linux pair, it doesn’t pair correctly even if it says it’s paired using the bluez-gnome. I will do more tests and let you know the outcome. OK I believe I found the problem. You have to pair the iphone and linux every time you want to start a new tethering connection even if you see that Iphone is already connected with linux. So remove the linux-computer from the devices that show at iphone and pair again. You can pear by using the iphone, then you type a code and then you see on your computer screen a form that you have to submit the same code. Then run the 2 commands to start the connection. I hope this helps the people with the connection refused problem. The max speed I was able to download is 105kb/s (840kbit). I see that the post owner had similar speed (850kbit) any idea if there is a limition on speed using the Bluetooth? To get the control utiliy for bluetooth you need to install bluez-gnome. I could only get it to work with “visibility setting” -> “always visible” and push connect on the iphone. Could not get blueman to work either. Here is an another tutorial – based this one – with pictures (unfortunately only hungarian language, but i think very straightforward). and the DNS (openDNS.org) is hard-wired to the system so now it works! You can edit /etc/resolv.conf with the nameservers. Having the same connect problems as most every one else, tried with a USB bluetooth dongle and had it work, once. But never again. Tried again with the built in bluetooth and then had it work once and never again. Both times I was able to connect I was using Blueman. I’ve managed to solve the “connection refused” problem. I upgraded from bluez from 4.32 to 4.39 which is in the blueman ppa. @John How stable is your connections, I am using 4.39, and have only been able to connect once. blueman works well here (Ubuntu 9.04) and Rogers. Getting about 120-140kBytes/s. Thanks for the instructions! Great! I will try tis tomorrow. I am now able to connect about 70% of the time now (not sure what it did), but will only work for about a 1 min or so. Connections are sill all in place, pinging in the background shows the link to the phone is dropping out. I have to restart bluetooth services on the computer and repair to get things working again. What to do? Any help is much appreciated, thank you! @Erik, I dont think this is a problem. I also am using Ubuntu 9.04, and tried to get the same error, but failed. But looking at your image, its showing that avahi dns shut down. this should return some like. CTRL+C to stop. If this all works open up firefox, and have at it. I guess I’ll have to put it all in a shell script and run it when I want to tether. Maybe there’s a better way of doing this but I don’t know one. Just fyi (mac book pro) you need to keep the phone literally within 2 feet of the computer or else it drops the blue tooth connection. Bluetooth tethering works indeed but I soon realize that the data transfer rate is abysmal. Hope there’ll be an USB tethering alternative around soon. Thanks for the tip anyway! news on iPhone 3g 3.0 OS and tethering with USB on Ubuntu 9.04 amd64? Well I dont know if its the phone or the computer that is the problem, but my tests, these past few days are good. I was able to make my connection to my phone using blueman and no command lines tonight, and its a stable connection. Now I have a pan0:avahi interface. after i could type sudo ifup bnep0 again and it worked. I can confirm that installing bluez 4.39 and blueman from the Ubuntu PPA makes blueman “connect” works. When you connect with blueman it will nicely integrate with network-manager – best solution. bluez 4,39 from PPA and blueman, NOT working here…. I am using Blueman 4.39 and received the “Device added successfully, but failed to connect” error message every time I tried to use tethering. I think this was because I had my iPhone also plugged into my computer (for charging) while trying to use the bluetooth connection. Today I tried to use the iPhone “unplugged” and everything tethering is working fine. i found the prob with connection refused! it looks like switching off the bluetooth on the iPhone and reconnecting it and the FORCING THE CONNECTION to the computer from the iPhone creates a stable link. Then you can pand or blueman->network connect successfully. I confirm. Start the connection on the iphone, then run pand. I did not have any problem after that. Does anyone know the magic to get Blueman working? I’ve installed all the 4.39 updates but have not gotten it to connect. Pairing works but I consistently get the “Device added successfully, but failed to connect” message. I’ve scoured the Internet for solutions but haven’t found anything other than statements that it works for some. 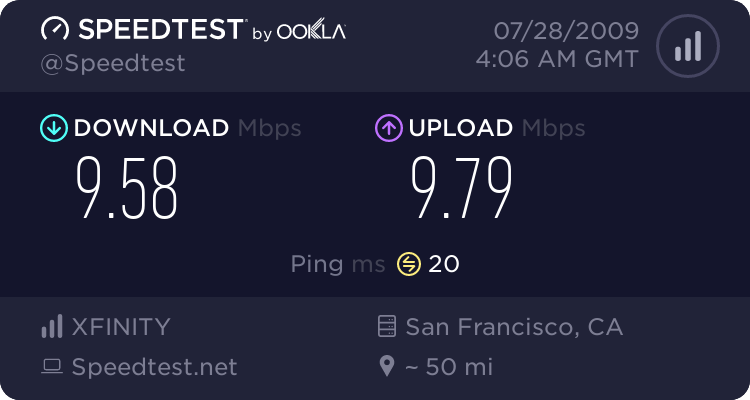 Is the AT&T tethering profile required to allow the connection? I’m reluctant to install it on my iphone because I’ve heard that it conflicts with the VM feature. Also, I haven’t been successful getting pand to work either. I get “pand: Connect to failed. Permission denied(13)”. Since pand is no longer supported in jaunty and Blueman is a simpler solution, I prefer to use the latter. I like to know if it is possible to connect to the iPhone without the use of a grafic interface? I’am actually trying to connect my dsl router (avm fritzbox) to the iphone via pand. I get a response on my iphone to enter a pin for the connection. I think this happens because the iphone is generating a pin response (like it does on my mac) that should be displayed on my router and then have to be entered on the iphone. Is this possible via cli or do I need a extra program? Could someone test it with his configuration? Iphone screen says that the internet sharing is enabled, but i cant connect to bnep0! - A new wired device will appear on Network Manager. It won’t connect because it’s waiting for DHCP on the iPhone..
- Edit connections on Network Manager. On Wired tab, double click on “Auto bnep0″ and change IPv4 Settings to manual. Put IP address 192.168.20.2, netmask 255.255.255.0, gateway 192.168.20.1 and use DNS servers from openDNS. Apply and quit this. Click on network manager on tray and click on bnep0 to restart connection. Anyone else? is it works? Does someone tried with Ubuntu 9.10 alpha 4? The file /etc/default/bluetooth doesn’t exist. If you are using blueman and see the network manager has bnep0 as a “device not managed” then try to remove the entry in /etc/network/interfaces because ubuntu and debian have modified the network manager not to control an interface listed in this file. Cheers to the author, perhaps there is also a little script you can write to automatize this? Anyone to find how to switch usb mode from PTP to PTP + Apple USB Ethernet ? But still couldn’t have done it without you – Thanks. Bugger – I loaded this page on the iPhone but it dropped out before I could submit the comment and there is now ‘no route to host’. I (regretfully) updated to 3.1 when I got my phone… BAD IDEA if you want tethering. Sometimes, the Iphone locks on BT connection after disconnecting the laptop without stopping internet tethering on the Iphone. My problem is that I have a tethered jailbreak iphone and I can’t reboot when I’m on the road. By this way, you can get out of a blocking state of the BT process on your Iphone..
Great write up. The iPhone is truly revolutionary and I don’t like being without it. This time last year I had jumped in a pool with my iPhone and it was dead. I had to wait 10 days before I was able to purchasea new one. The phone I had was a cheap go phone. I really love all the apps that can be downloaded to the iPhone. The best part about the iPhone to me is the ability to check emails on the fly. Thanks for the information. I don’t have bluetooth device, so I need to use the USB device. 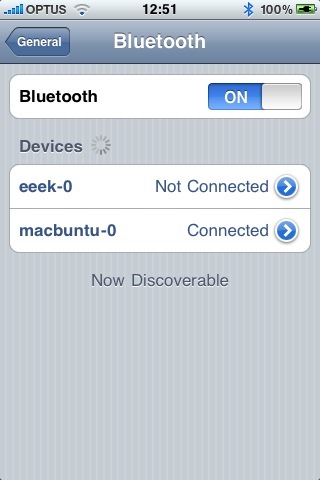 I instaled the packages that you said and the my Ubuntu 9.04 recognized the iphone like a modem. But the problem is: when my notebook try to get an ip with dhcp, the Iphone don’t send to me the IP. I tried the tethering with Windows XP and work’s very well, but the ubuntu can’t get an IP with dhcp.